Rabbi Itamar Ben Gal HY"D was a friend and a neighbor to all of us here in Har Bracha. He was murdered by a savage Arab terrorist solely because he was a Jew. 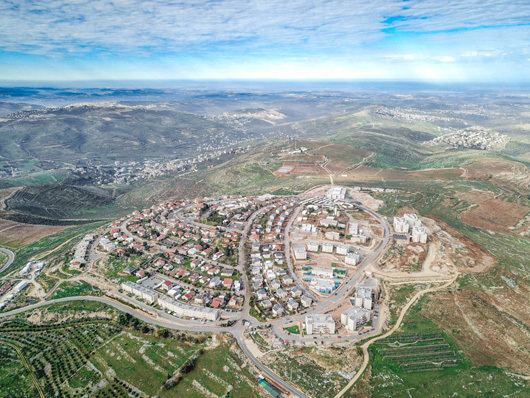 Rabbi Itamar loved the Torah, the Land of Israel, and the People of Israel, and his last wish was to see the community of Har Bracha turn into a full-fledged city. His widow, Miriam (27), along with her four young children, ages six to nine months, would love nothing more than to see his dream come true. Therefore, as a first step in the fulfillment of his wish, we will complete, B'ezrat Hashem, the 'Beit Midrash' (Learning Hall) of Yeshiva Har Bracha where Rabbi Itamar learned and taught Torah day and night, always with a smile on his face. Our goal is to complete the building within the first year of his death. History has proven that those who were active in the settlement and rebuilding of the Land of Israel over the last few generations, whether religious or not, participated in a miraculous renaissance of the Nation and the Land. Claim your share!